We know we've bottled magic whenever we taste a new harvest of Sweet Yellow Clover Honey. 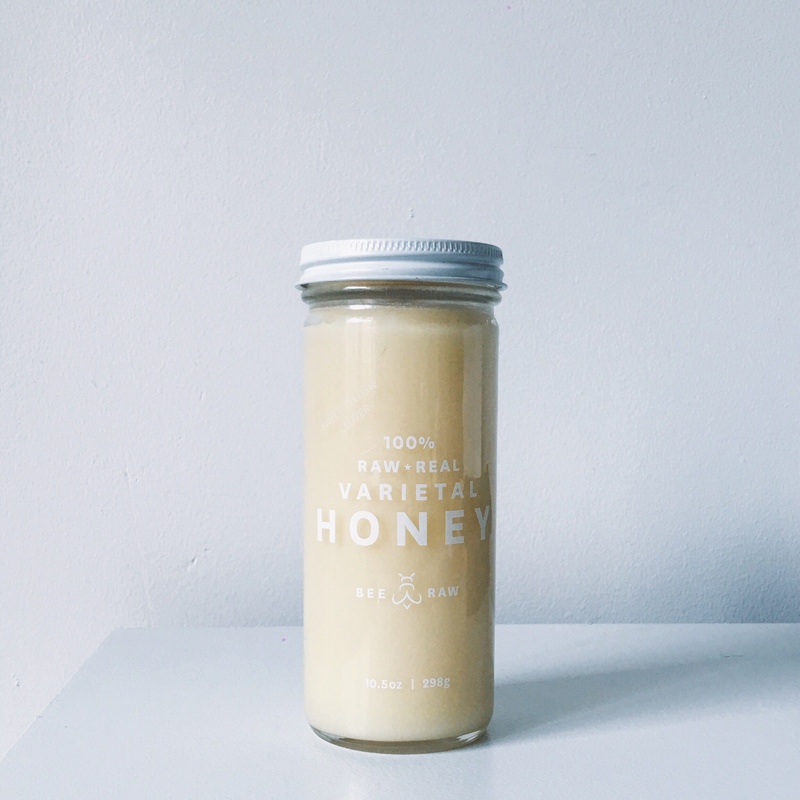 An opaque and pearly beauty, the honey features a luxurious creamy texture and a mild flavor. Think up-front sweetness followed by notes of nutmeg and cinnamon. One of the lightest and brightest of our offerings, Sweet Yellow Clover can appear anywhere from water white to golden yellow, and crystallizes quickly due to its high count of small pollen grains. Though it looks similar to whipped or creamed honey, this varietal achieves its consistency through nature alone—no processing or manipulation needed. Sweet Yellow Clover’s smoothness and sweetness make for a wide range of uses. We like it in green tea, especially Lung Ching, where its baking spice undertones draw out the tea's rich grassy flavors. Also a friend to cheese, Sweet Yellow Clover Honey pairs particularly well with stinky washed rinds such as Taleggio or the monastic cheeses of France and Belgium. We've been known to use it as a frosting for cookies (no stand mixer needed) and as a substitute for butter on biscuits. Try it on granola and toast, and experiment with it as a simple syrup in cocktails (you can't go wrong with anything bourbon-based) and as a sweet accompaniment to dark chocolate. Native to Europe and Asia, the sweet yellow clover was introduced to North America as a forage crop, and now grows in abundance throughout the United States. The flower, classified as invasive in many areas, finds support from farmers and ranchers who continue to use it as feed for livestock and, of course, as a preferred pollen and nectar source for honeybees. The plant grows erect, with clustered yellow flowers that emit a sweet odor throughout the May-to-October bloom. Prime habitat includes Colorado, where the flowers take hold in the region's rocky glades and woodlands. Clovers contribute more to honey production in the United States than any other group of plants. Red, white, and alsike clovers are most important for honey production, in addition to sweet yellow. And, as a fast-growing weed, keeping clover around proves one of the easiest ways for home gardeners to support bee populations. Save a weed, save a bee. Like all raw honey, Sweet Yellow Clover contains antioxidants and helpful trace elements and minerals, such as cobalt, copper, iodine, iron, magnesium and phosphorus. For centuries people have turned to raw honey for the topical treatment of minor wounds and burns, and as an antibacterial agent to promote overall health. Clover's smooth creamy consistency allows it to coat the mouth and throat well, and its properties as a mucus-thinner making it a natural go-to as a cough suppressant. How do you use Sweet Yellow Clover Honey? Let us know in the comments!